The PLV-80L Sanyo projector lamp replacement comes with a genuine original 300 watt Ushio brand NSH bulb inside. This lamp is rated at 3,000 lumens (brightness equal to the original Sanyo lamp). The PLV-80L lamp has a rated life of 2,000 hours. Our replacement projector lamps are made with high quality materials including the original projector bulb. Beware of cheaper generic lamps being sold elsewhere that have lower quality construction, reduced lumen output, and lower lamp life. 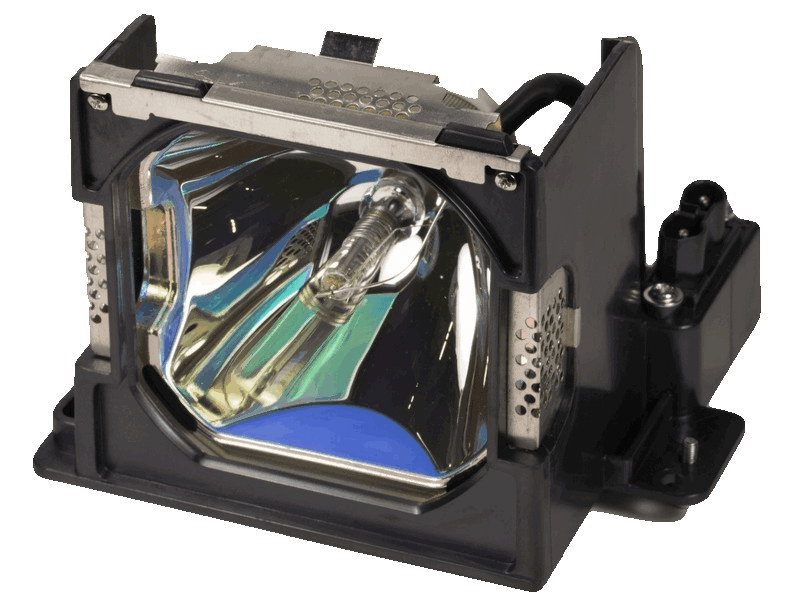 PLV-80L Sanyo Projector Lamp Replacement. Projector Lamp Assembly with High Quality Genuine Original Ushio Bulb Inside. Works great. We have an older Sanyo projector, pleased to find this replacement at a great price.